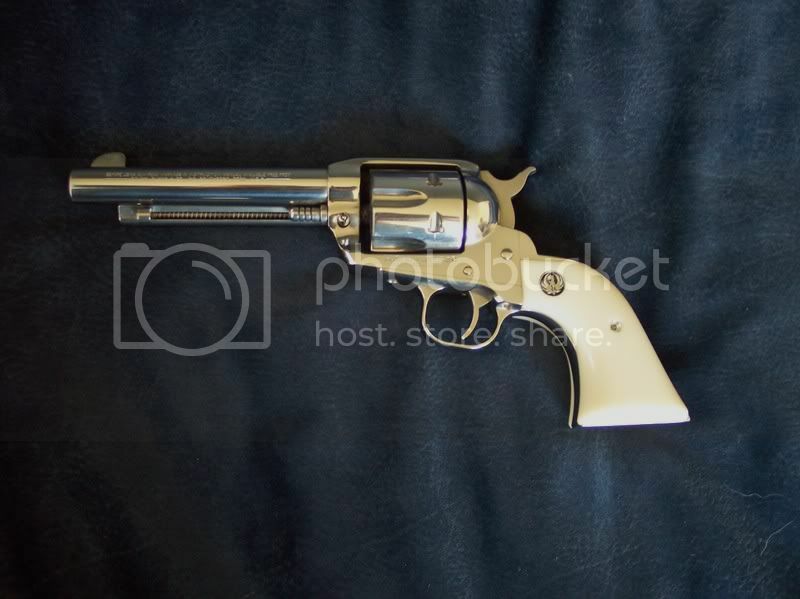 I have a Ruger Vaquero (old model) .357 magnum in gloss stainless with a 5.5" barrel, and faux ivory grips. It has had 350 rounds fired through it. I'm the second owner, it is in like new condition, and comes with the Ruger box, manual, and blank registration card. I also have at least one box of ammo. I'm asking $400 OBO. I'm open to trades, so let me know what you have. I'd prefer a face to face transaction in oregon. But if you want to pay shipping and arrange it with an ffl, that's fine with me. Here are some pics. Thanks. I'm not in a hurry to sell it, so start saving. Good looking revolver. DO WANT!!! Still for sale. It's only posted here and at my local gun range. Maybe if it was a kawasaki and at least 1000cc. I'm used to my ZX-12R. I would also be interested in a trade for a compact carry gun. If it has not sold, I'd be interested in purchasing it. Still for sale, pm sent. this gun still for sale?? ?